Sally Hogshead believes the greatest value you can add is to become more of yourself. As such, she created the Fascination Advantage®, the first personality assessment that measures how others perceive you. After researching over 600,000 people, her algorithm can pinpoint your most valuable differentiating traits. 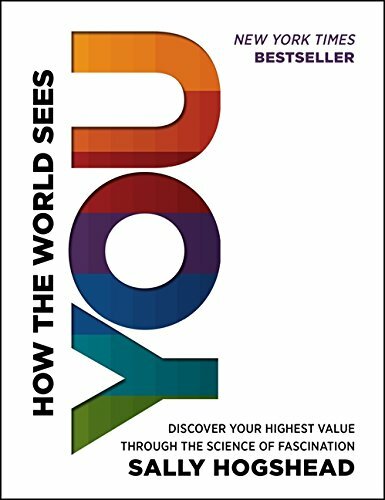 Unlike well known personality tests, this test doesn’t measure how you see the world – but how the world sees you. Her recent book, HOW THE WORLD SEES YOU, was a #1 Wall Street Journal bestseller. Gail Davis: I am ready. Today's guest on GDA Podcast is Sally Hogshead. Sally skyrocketed to the top of the advertising profession in her early 20s. By age 24, she was the must award-winning advertising [00:01:00] copywriter in the United States. Her campaigns for brands such as Mini Cooper, Nike, Godiva, and Coca-Cola have fascinated millions of consumers. And at the age of 27, she opened her first ad agency and her work still hangs in the Smithsonian Museum of American History. Drawing upon this remarkable branding legacy, Sally developed the Fascination Advantage, the first algaroth to measure persona [00:01:30] brands. Unlike traditional personality assessments such as Meyers-Briggs, or Strength Finders, Sally's test doesn't measure how you see the world, but how the world sees you. She frequently appears in the national media, including NBC's Today Show and the New York Times. Named as the number one brand guru in the world, her practical marketing systems now live inside organizations such as organizations IBM, Twitter, [00:02:00] and the YMCA, as well as thousands of small businesses. 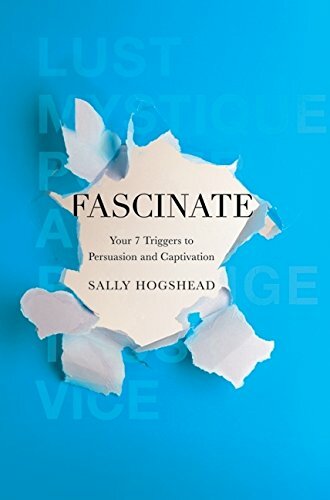 The Science of Fascination is based on Sally's decades of research with Fortune 500 teams, hundreds of small businesses and over 1,000 C-Level executives. 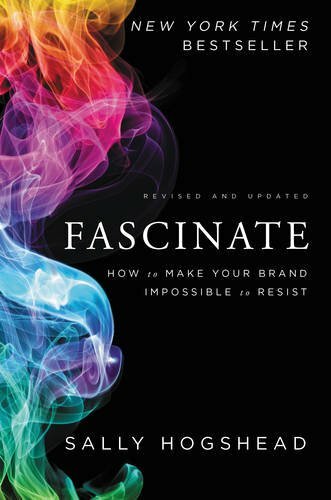 Her newest book, Fascinate: How to Make Your Brand Impossible to Resist, is a New York Times bestseller. Welcome to GDA Podcast, Sally. Sally Hogshead: Oh Gail, I this so happy [00:02:30] to be here, thank you for that lovely introduction. Sally Hogshead: Oh, do tell, do tell. Gail Davis: I'm like, oh, this will be good fodder. I have a couch in my office, and I was thinking, I have a maverick leader son, an orchestrator. We might as well plop in the couch in just dissect that relationship for starters. Sally Hogshead: Well, can I jump in and be your Sigmund [00:03:00] Freud and talk to you about how the two of you probably get together? Gail Davis: That would but perfect. Hey, listeners, we have not discussed this in advance. That's important. Sally Hogshead: Oh, this is going to be fun. Picture me right now twirling my mustache. Kyle Davis: And smoking a cigar. Sally Hogshead: Just as a little bit of background, the assessment you took is named the Fascination Advantage, and what makes it different is then assessments like DISC or Kolbe or Strengths Finder or Meyers-Briggs is that it's not based on [00:03:30] psychology, it's based on branding. It's not how you see the world, it's measuring other people see you at your best. Now, interestingly, the two of you have very different ways of being seen at your best. Kyle you're intensely creative. You love to be able to see the quantum leap. You what to be able to find the opportunity, you thrive in chaos, and you resist being micromanaged. [00:04:00] Gail, would say that's true? Gail Davis: Yes. Nailed it Sally. Sally Hogshead: Now, here's the thing. My husband is a maverick leader, really high use of innovation, and so a lot of times these types of personalities are seen as being innovation, creative, they generate ideas. They love to brainstorm, but the problem is they get frustrated when it comes to follow-through, implementation, execution, and that's where it's crucial to have people around them [00:04:30] who are not similar. In other words, to have a team of diversity, so that people can optimize Kyle. Now, let's turn a moment to Gail. Gail, my friend. Now, Gail, there are two ways that I know that you are tremendously respected in the industry. The first one is the way in you are emotionally involved in every event, every client, and every speaker. Kyle, [00:05:00] would you say that's true of Gail? Sally Hogshead: Yeah, so Gail, for you this isn't just a conveyor belt going by, it's not a spreadsheet. These are living, breathing human beings. You're creating relationships between speakers and clients, speakers and audiences, and most of all between you and GDA, with everybody involved. And that's your passion. That's your primary passion advantage. So you have an advantage [00:05:30] over Kyle when it comes to connecting with emotion. But here's where it starts to get really interesting, Gail. Your secondary advantage is alert. Alert means you thrive in details you like to protect people from what could go wrong. You prevent problems instead of turning a blind eye. So, here's what that looks like when the two of you are working together. Kyle, with your primary innovation, you like to say what can [00:06:00] we possibly do? There's so many options here. And Gail likes to say, let me take care of the client by making sure everything is crossed off the list and documented in an Excel doc. Would you guys say that's true? Kyle Davis: That's a yes, affirmative. Gail Davis: I'm just laughing. It's so apt. Very funny. Like I love your ideas, but I just can't take them all on at the same time. Kyle Davis: It's drinking from a fire hose with me. Sally Hogshead: [00:06:30] Yeah, and you know, here's the cool thing. If we had a team of Kyles, everybody would be extremely creative but nobody would actually send out the invoices. Gail Davis: Oh, I still do. Sally Hogshead: Okay, good, I'm glad you have Gail to be able to do it. Anytime we're building a team ... here's the problem that a lot of organizations fall into. They hire to replicate what they perceive as their high performers, [00:07:00] and so, teams become imbalanced and brittle. When we've measured teams inside of GE and Morgan Stanley, and AT&T. Some of the world's greatest brands. The problem they come to us is, we've got incredible team members, but the team isn't performing either because of conflict or misunderstandings. There was a study that was just released from Massachusetts Institute of Technology, MIT, and they said 50% [00:07:30] of the difficult between low-performing and high-performing teams is the quality of communication. You, Gail and Kyle, you have an advantage. You've had a few years of history, but most teams haven't, and this is a new way for seeing how they can turbo-charge results. Gail Davis: You know, one of the things I like is one of your quotes, which says, [00:08:00] "To become more successful, you don't have to change who you are, you have to become more of who you are. Can you elaborate on that? Sally Hogshead: Yes. There's been a cultural movement in the business environment over the last 20 years that focuses on strengths and weaknesses. And here's the problem with that. If people are measured on the way in which they need to get better, to means only one person wins. The one person who wins is the best [00:08:30] and everyone else is an also-ran. So, it creates an atmosphere of competition, it's a zero-sum game. Instead, I started looking at this and I thought, you know, strengths are great, but the opposite of strengths is weaknesses. What if we could look at what individuals measure the value that they offer in the exact same way is the brands do. My background is in branding. For 10 years, [00:09:00] I worked with brands like Godiva, Mini Cooper, Ikea, Target, Nike. And what I found was the top brands, their goal is to do a focus group that gives them the one adjective to describe how they are different. They don't focus on being different in a distinctive way. The world-class brands. The most loved, respected brands. And I thought [00:09:30] to myself, in 2006, I thought, what if we could do this for people? What if we could take the exact same process that world class brands use and apply it to individuals and build an algaroth exactly the way brands do and show people how they're most likely to add value. Now, we've measured a million people. And what we found is, people don't think they're fascinating, but once they understand those qualities [00:10:00] that make them fascinating, it becomes really easy for them to stop trying to fix themselves and do more of what they're already doing right. Gail Davis: I love the concept, I mean it's such a no-brainer, but I love the concept of the diverse team and playing to everyone's strengths. And I know that it's so easy, as you said, to want to hire the proven formula. But having an appreciation for differences in learning how to communicate, as you said earlier, I can certainly [00:10:30] see the advantages when it comes to scaling your business. Kyle Davis: And to piggy-back, kind of off of that, because that was going to something similar to my question, when you look at companies that are maybe in the struggle bus of not seeing the growth that they want, or they're in a period of stagnation or decline, are you seeing that they're hiring so many people that are like them because it's quote, "on brand," and they don't have a diversity or variance of ideas? Sally Hogshead: [00:11:00] Excellent. Excellent question. Very sophisticated. And the answer is slightly different then you might expect. It's not that they're going downhill, it's that everyone else is getting better. The world is becoming more competitive, more crowded, more distracted, more commoditized. So, in order for you to overcome these disruptive trends, here's what you need to do. We went inside of companies. Of the million people we measured, we took the high performers. [00:11:30] We separated the people on the team who were getting the best results who consistently had the highest scores and the best clients. We found the high performers do two things differently. The first thing they do differently is that they have specific benefit. In other words, they're not trying to be all things to all people. If you try to be all thing to all people, you end up being nothing to anyone. What these high-performers are doing differently, is if they're good at details, they focused on details, they over-delivered on [00:12:00] details they sought out projects, and assignments, and challenges that required them to deliver details and they didn't at all try to focus on being the cheerleader or the big picture visionary. The second thing that high performers did differently is that they turned this into a specialty. Now, a specialty is different than a niche. A niche might mean you know a certain software, or you have a good network. I'm talking about something slightly different. What I mean is Gail, you [00:12:30] have a specialty when it comes to connecting with people. As you saw from your Fascination Advantage result, you score really high on passion. And that means you feel so comfortable walking into a room of strangers, but by the time you leave, nobody is going to but a stranger anymore. People feel like they can pick up the phone and call you and that's a huge competitive advantage. Kyle, your competitive advantage is not the same, and that's a good thing. Your competitive advantage, and we'll say specialty, is being able to look at a situation where everybody [00:13:00] else thinks they're stuck and they don't know how to move forward. You can show them what they can't see. Kyle Davis: Kind of with that, when you're saying that, somebody has to find what their specific benefit is, and not being all things to all people, and then in return, also kind of finding what their specialty is, is that, just having a laser focus on what their true strengths are, versus [00:13:30] trying — if I'm not a details person — trying to focus on the details when clearly maybe that should be something I delegate to somebody else? Sally Hogshead: You know, it's so easy to tell somebody, "Just be different." It's like great. How am I different. Where do I go from here? And that's where I draw upon my branding background of working with these great brands. Let me tell you a secret. When I was 24, I was the most award-winning copywriter in the United States, [00:14:00] when I was 27, I opened up my first advertising agency in Los Angeles and when I was 31, as Gail mentioned, my work was hung in the Smithsonian Museum of American History. The reason why I was able to accelerate so quickly as a creative director is, what I loved more than anything, the thing that got me out of bed in the morning and made me just like, "Uh, I want to sink my teeth into it." Is to think a brand and find the most succinct phrase that describes how that brand adds [00:14:30] distinct value, how the brand is most likely to be loved, admired, trusted, and why people pay more for one brand versus another. It was in 2006 that I had this epiphany, what if I took this algorithm, that I've been using for a decade working with Cole Haan, and Citibank, and Aflac, and on and on. What if I used that same algorithm with people? And here's what I found when [00:15:00] I began testing. I did massive market research. And I found people are extremely confident, ridiculously confident, in their ability to drive. 80% of people think they are more fascinating than the average person, which is ridiculous. 50% are above, 50% are below, but everybody thinks they are a great driver. But in my research, when I said, "Are you more fascinating than the average person?" [00:15:30] the result were completely different. When I said, "When you speak, do people remember and think action on when you say?" Most people think they are less fascinating. In other words, most people think they are not fascinating, but that they're great drivers. And what this begins to point to is that when we can measure something, like the ability to drive, or intelligence, or attractiveness, it's really easy to improve or scale ourselves. But [00:16:00] the problem in a crowded, distracted, competitive, commoditized world, it doesn't matter how you see the world. In fact, quite the opposite. There's a huge disruptive force that's happening. What really matters is how does your client see you. How does your customer see you? How does your team see you? Your boss see you. How do other people see you at your best? So, instead of trying to fix yourself and blend in, you can do more of what you're already right and [00:16:30] reach that ultimate potential. Gail, like you said earlier, you don't have to change who you are, you just have to become more of who you are at your best. Gail Davis: I love the, "at your best," and to reminds this a lot and I've been working with a coach recently and we talk a lot about doing versus your way of being. Gail Davis: And it almost sounds like when you play to your Fascination Strength, [00:17:00] and you are more of who you are, maybe that's more focused on your way of being. Because I know you described the connected thing, and that's all very true and very natural. But sometimes I get in the habit of knocking out the to do list and I don't play to that strength of being connected. Sally Hogshead: And it's so easy for our to do list to become the master of the time, of our doing. Here's what I found. [00:17:30] There's certain tasks that when you're engaged in them, you feel energized, you're in the flow, you're in the zone. According to what I studied, your brain is fascinated. Radiologists, if they were to look at your brain when you're in a state of fascination, you are totally in a state of flow. You're in a state of yes, you're going to have your biggest breakthroughs. My research shows that your income will rise relative to how often you're fascinated [00:18:00] in your work. But the more interesting information is how often can you make someone else feel fascinating? And I'll give you ... you're not even going to believe this when I tell you, but I promise you this was a highly credible piece of market research with a company named Kelton Research. We asked women as part of our survey, "How much would you be willing to pay in dollar amounts if you could be the most [00:18:30] fascinating woman in the room?" I thought I was going to be, you know, $10, $20. No. Women are willing to pay more than they pay for foods and clothes combined if they could be guaranteed to be the most fascinating woman in the room. And 5% of them would be willing to pay $1,000 a month. Now, to put this into perspective, here's what this means. If a woman has a place at [00:19:00] the table, if she has a voice, if she's acknowledged, if she doesn't feel marginalized, if she feels like what she says matters, that is incredibly significant to her, but the problem is a lot of companies don't give women a voice. A lot of companies have, the structure is organized for the way that men traditionally communicate, but it diminishes [00:19:30] and sidelines the way that communicate. This is part of the reason why we're seeing a crisis in talent leaving from organizations. Have you been saying this Gail? Gail Davis: Yes, I mean, just keeping up with your clients and where they're going and whose going where is almost a full time job. Sally Hogshead: And what a brutal loss for organizations, in terms of brain drain. I graduated from Duke [00:20:00] University, and one of my minors was in Women's Studies. After I graduated, I went to the University of Nairobi to do post graduate studies. And I wanted to understand, why are women so disempowered in certain environments, but not others. And I found a lot of correlations between corporate America and the tribe that I lived with. I lived with an African tribe in a goat dung hut with a woman who had 13 children, no electricity, and no diapers. And what I [00:20:30] found is, if women don't have a voice, they can't rise. On the other hand, the greatest way to empower a woman is to show her her hightest value. If you show a woman her hightest value, she can change the world. She will love you, she will stay with you, she will over-deliver and out perform. The problem is, most organizations aren't built to support women [00:21:00] in that way. Kyle Davis: What can organizations do to better support women, but more importantly in a broader kind of scale, to show everybody kind of what their value is that they bring to the table, regardless of gender, or identity, or everything else like that? Sally Hogshead: Yeah, yeah. Our conversation isn't about gender. Gender is not my main topic. Here's what it is. [00:21:30] Pardon me, I have a ... I live in Florida, we have had rain days and there's crazy allergies here. You could probably ... I bet you could hear the pollen falling like snowflakes. Kyle Davis: I can. I'm going to have to dub that out, but yes, I can hear it. Sally Hogshead: Yes, thank you. We've measured a million professionals. 500,000 women and 500,000 men. And what we've found [00:22:00] is women have completely different hidden communication patterns. Women succeed and solve problems and have their hightest energy levels and morale when they can talk through problems verbally. In other words, they go into somebody else's office, they put post-it notes all over the place, and they want to collaborate on being able to solve problems. A lot of times this is seen as being indecisive, or scattered, because there's still [00:22:30] a lot of culture around the conversation that, just come with the answer. In our research we found women are three time more likely to communicate with passion. Men are two times more likely to communicate with mystique, which is all about listening. So, men prefer to sit back in a meeting and listen, digest, and come forth. The problem is that this starts to ... there's a value judgment. It's a zero sum game. It starts to [00:23:00] send a message that one way of doing it is better than another. So, coming back to this high performance that we measured, both genders, it's crucial you to be able to focus on your specific benefit and to have a specialty, and then to understand how you build your assignments, your projects, your relationship, your client base, your team around that, so that you get to come into work and do more of what you're already doing right, feel energized in your wellspring. Instead [00:23:30] of trying to fix yourself. Kyle Davis: One of the things that I want to do, I kind of what to backtrack and go to the time that you were working with brands to kind of figure out what it was that they're all about. Wow, that's a lot of out syllables in there. So, one of the phrase that you used was to find the most succinct phrase to describe what it is that they do. I think from a branding exercise, what can companies do, but also individuals do [00:24:00] to figure out kind of what it is that their brand is in the most succinct, concise, yet powerful way, so that they can know what to is that their putting out in the world. Sally Hogshead: Thanks, Kyle. Let me give a couple of just ... let me set the ground rules. First of all. The inability to keep and earn attention is a massive competitive disadvantage today. If you cannot keep and earn attention, you have a massive competitive advantage. [00:24:30] You have to spend much more on marketing or you have compete on the basis of price. Another example of a disruptive trend. Every time you communicate, you're either adding value or your taking up space. When you add value, people pay more for your opinion, they seek you out, your business rises. If you're just taking up space, you get put in the mental spam filter. The solutions to look to branding. I mean, branding was created [00:25:00] as this genius way of being able to encapsulate the confetti of product benefits and bring it down into a little capsule. My kids love astronaut ice cream because it takes a whole gallon of ice cream and puts it in a little packet. That's what branding does. It takes all the benefits and it finds what are the most powerful differentiating qualities. Not the things that make it most like other brands. [00:25:30] By applying that, I found that there are two things you must know. You must know about yourself and your brand. In advertising, this is called an anthem. An anthem is your very hightest value. If you think of an anthem song as kind of the highest level. The first brand I ever worked on was Nike. What's Nike's tag line? Gail Davis: Just do it. Kyle Davis: Just do it. Sally Hogshead: Whoo. Okay, you guys know that. When Nike says just do it, they're not [00:26:00] talking about shoelaces and rubber, they're talking about their consumer, their stores, their products, their employees, it drives them. What's your anthem? In order to be able to take all this, this learning and this research and these processes from these world-class brands that I worked on, I found, you know, it's actually really simple. There are two parts. The first part is this. How are you different? [00:26:30] How are you different than other people that would be considered your competition? If you know what makes you different, you're not a commodity. You don't have to compete on price. You can elevate your brand because people perceive you as delivering value that others don't. How you are different is adjective. And an example of an adjective, which comes from the Fascination Advantage, the systems I created, how you are different, [00:27:00] Matt, we'll take you as an example. How you are different, Matt, is you are pioneering. You're entrepreneurial. You love to change. You're inventive, you're self-propelled. The more that you can be focusing on that, to go to clients and say, "If you need pioneering ideas, I'm your guy." Or to flop it around, you might say, let's say it's a sales environment, it's really chaotic these days. [00:27:30] Tons of new technology. Huge competition. Ridiculous rise of more products flooding the market. Commoditization. But Kyle, I you were to say, "I can bring you pioneering ideas that no one else can. I can get you from here to there, and through this pioneering ideas that I offer, you, we're going to be able to get better results that you couldn't have had otherwise because you're simply following a model that was [00:28:00] created back before Mark Zuckerberg was born." That's a pretty compelling positioning. And all of the things I just said, come out of your Fascination Advantage report. Gail, Gail, you know I'm a huge fan. I mean there are so many different, wonderful ways that I can describe the value that you add, so I'm not unbiased. You [00:28:30] and I have worked on a few events together. Your archetype is incredibly rare, and the reason why is because you combine passion, which is the emotional engagement, and being ... You touch very single little part and you feel strongly when something goes right, or something goes wrong, but you never let it just become like a touchy feely kumbaya feel-good thing. You are focused on the details where are we going? What are we doing, [00:29:00] how do we get there better? And so the adjectives that describe you, your specialty are different than Kyle's. By the way, you and I would work extremely well together. You are attentive, dedicated, and efficient. And so imagine you're talking with clients. Gail do I remember correctly? You have vetted 5,000 speakers? Is that right? Sally Hogshead: Yeah, I mean and you vetted [00:29:30] them. It's not like you did a cattle call. And I'm honored to be one of those speakers. And the reason why is because you are attentive, you are dedicated, you are efficient. Now, most bureaus, most presidents, agents, they would like to think they offer that, but that's not authentically how they're primed to succeed. That is not their specialty, and for them it would be exhausting to try to do it. So, the more, Gail, [00:30:00] that you can become more of who you already are, remember you don't have to change who you are, you don't have to fix anything. The more that you can say, I you want to work with somebody ... the peaking market is crazy. Everybody wants something new. They want and experience. They don't want a keynote. People have elephants walking on stage and flame throwers in the hallways. I'm exaggerating, but kind of not. If you were to say, I'm attentive, dedicated and efficient, I can actually pull this stuff off, [00:30:30] then you have already differentiated your brand in a really powerful way so that I know if I wanted to work with someone who is attentive, dedicated and efficient, I can't work with anybody but Gail Davis. Gail Davis: You know, it's funny that you mention the vetting of 5,000 speakers. For the longest time, that was sort of my claim to fame, like, "Oh, it's 3,500, oh, let's move it to 4,000." About a year to 16 months ago, I woke up and went, "Ew, that number didn't [00:31:00] even do anything for me. We've got to change it." Then we almost used like a triage concept, and put people, like yourself, who we have a booking history with positive feedback and we put this into a special category, which is very limited. The high priority speakers. You know less than 700. And then we put the radar, the people that we know we're losing business to, which is another special group, and then we had to put a big [00:31:30] portion of that into another category, and I say that to kind of go back to having a wake-up call and realizing I needed to be attentive, and dedicated, and efficient to I know works. And it was a shift, but I think it still plays to the same strengths that got that number. Gail Davis: I tell my team, let's lead with this small group of people that we really know. Sure to the strength that Kyle [00:32:00] has of being innovative and, you know, you can't close and an eye to, there maybe be the next greatest thing around the corner that we don't know, but there also comes a time where so many that you need to have a strategy for how you approach the list. Kyle Davis: And I think the benefit to that, I mean if we're talking just about GDA, it's limiting the scope, and really focusing on the quality and not necessarily the quantity. It's very easy to kind of quickly go through these speakers and say, "Hey [00:32:30] this kind of person has a cool book, maybe, I've skimmed it, or awesome two to three minute highlight video." But instead, it's these are people that we're passionate about because they're performers and we're only providing the best experience possible. Sally Hogshead: May I tell you a secret? Sally Hogshead: Okay, don't tell anyone. Kyle Davis: We'll edit this out. Sally Hogshead: Speakers face the same challenge in that no matter proprietary [00:33:00] our content is, no matter how electric our deliver is, we're watching each other, and speakers can start to become a commodity. Even if you own a certain place, you have to constantly evolve. For me personally, when I get an inquiry from GDA, it rises to the crème de la crème and we prioritize it on the calendar, and I reach out and say, "I want this hold. [00:33:30] I want this. What do I need to do? Do you want me to put a proposal together?" My point is, just as speakers are not a commodities, bureaus, and agents, leaders in the speaker industry are not a commodity, and so you have achieved what we're talking about. Have a specific benefit and then turn to into a specialty. Kyle Davis: And I think also, too, to your point, what prevents you and other great speakers from becoming a commodity is the constant improvement and the constant research. [00:34:00] My final question before we segway into this awesome deal that you're going to provide all the listeners, but my final question for you is, what's on the horizon. What's new research that you're bringing that you're bringing in that's changing the way that you see certain things. Sally Hogshead: Well, if I tell you, you cannot tell anyone on my team. Sally Hogshead: We had two New York Times bestsellers in two years. Let me tell you that doesn't [00:34:30] just come off the conveyor belt. That takes a huge amount of work to write, to edit, to publish, et cetera, with Harper Collins. But I have a message that I'm thirsty to learn more about this, so I had a conversation with Harper Collins. I didn't tell anyone on my team because I didn't want this to be like, "Are you insane?" Here's what the message is: Most people think they are less fascinating [00:35:00] than the average person, like we discussed. Most people think they are not fascinating. Most people think they don't have a message. They think they don't have anything to offer, and so as a result, they play it small. They play it safe, they don't put themselves out there to make a difference in the world, but my research shows, if you show somebody what makes them fascinating, then all of a sudden they're unleashed. We did a study of 4,000 people at AT&T in their sales department. [00:35:30] Their confidence in their ability to over deliver rose 200%. When we did a study with Unilever, their customer care service said that they were 34% more likely to be able to get on a call and feel confident about getting the result they wanted. So, here's my point. It's not hard to make somebody feel fascinating, but nobody has the language around it yet. We know how to compliment someone. We know how to thank someone, but we don't really [00:36:00] know how to say to somebody, "You're incredibly valuable to me and here's what you're doing right." And so, the book that I have in the works, we'll tell my team, it's going to be in a year, but the reality is it's going to be over the summer, is named, "You are fascinating." And the purpose of the book is for me to, instead of me saying you, Gail, here's what makes you fascinating, is to say, Gail, here's how to tell every speaker and every client and [00:36:30] everyone you love whose underestimating themselves, what makes them fascinating. Gail Davis: I tell you, it's so exciting. I really was sitting her thinking, this has fired me up, it's made me see how Kyle and I can work together to be even better than we are individually and I'm like, "I want to go out and have my entire team take this test," which leads to this offer that I understand, maybe we're going to have a special code where listeners can go [00:37:00] and do the rapid version of the Fascinating Advantage Assessment. Sally Hogshead: Yes. This is, think of this ... you know like when you go into a restaurant and you just order an appetizer?, instead of getting the full meal deal. Here's what we would love to be able to make possible. Anyone can take the Fascination Advantage Assessment. Anyone. Anyone who's listening. And it's compliments of GDA. The code [00:37:30] ... here's how to do it. Go to howtofascinate.com/you. howtofascinate.com/you. When you do the assessment, it's 28 questions, and I'll give you a little insider knowledge. Originally, it was 156 questions, to think 45 minutes, and what we found in our analytics, the same 28 questions gave us all the data we needed, so it's only 28 questions, which means, [00:38:00] three minutes, you can do to on your cell phone, and at the end, when you log in, put in the code, GDA17. This is what's going to give you free access. And the cool thing is that Kyle, and Gail, and I, and anyone else on the GDA team, will be able to see how you fascinate. Do you fascinate with details? Do you fascinate with listening? Do you fascinate with excellence or confidence? [00:38:30] Not only are you going to find to out, but through the online discussion, you'll be able to see how other people fascinate. Gail Davis: That is so awesome. We'll be sure and list all of this in the show notes for everyone. That is ... I mean, thank you, Sally, because I know people are going to hear this and they're going to but like, "Well, what's my fascination?" Sally Hogshead: You know, it's the cool thing? It's like, show me what I would look like in the mirror [00:39:00] if I looked the absolute best of myself without me superimposing flaws and insecurities. Gail Davis: And what I love about it is, you know, I've heard you describe, when you understand this, you unique [inaudible 00:39:13]. When you understand your fascination score, people are more likely to listen to you, the remember you, and to admire you. Now, who doesn't want that? That's a great takeaway. Sally Hogshead: Who doesn't want that? I'll sign up. Kyle Davis: Yeah, for only $19.99 a month. Just joking, joking, joking. All right, cool, [00:39:30] well I think that's a good place for us to wrap. Look if you all want have Sally Hogshead come out and tell you how you are fascinating, and how you should find you're fascination, thank you, I was trying to find the words, because I'm fascinated, you can do so by contacting GDA Speakers at 214-420-1999, or by going to GDAspeakers.com. For today's transcript and show notes with the link to get your Fascination Advantage score, you can go to GDApodcast.com or just check out the show notes. Sally, thank you. Gail Davis: [00:40:00] Thank you, Sally it was great. Sally Hogshead: Thank you. Yeah, I'm excited to be able to partner with you guys again in the future. It's always an honor and thing go flawlessly. You deliver white glove service. Gail Davis: Thank you, Sally.